Before Ron Rash was known as a writer of dazzling novels, he was a very highly regarded poet whose work appeared in journals such as the New England Review, Sewanee Review, Carolina Quarterly, and Quadrant in Australia. From his perch atop the mountains of Southwest North Carolina, he surveyed, mined, and respected the place, the people, and the memories of that region. A native of the region he wrote free verse in a language that fit the place and was powerful in it evocative simplicity. Poems with a historical basis range from William Bartram’s trip through the South in 1770 to the Civil War into the present time. North Carolina was the last state to enter the Confederacy and the mountains were rife with both supporters on either side. One of his longest poems, “Shelton Laurel,” captures the vicious enmity between those two sides. In January of 1863, a Rebel regiment tortured old women, beating and hanging them until nearly dead. Then they executed 13 men, including three boys of 13, 14, and 17 years old, buried them in a shallow trench, and left them for the hogs and wild animals to dig up. That event still looms large in mountain memories. It was a major theme in Rash’s The World Made Straight and in Charles Frazier’s Cold Mountain. The land looms large. He decries the wanton destruction of the Carolina Parakeet “once plentiful enough / to pulse an acre field, green / a blue sky” and the rising of a new lake in “Bottomland.” The once bountiful farm land was consumed by the “lake’s slow becoming…” There is sadness and longing in an “Abandoned Homestead in Watauga County.” In just 49 words, Rash perfectly captures the ineffable sense of loss when events conspire to cause a family to lose its home and conjures images of homes abandoned because families left them to go elsewhere for economic reasons. It is a reality too common for comfort in some sections of our country. 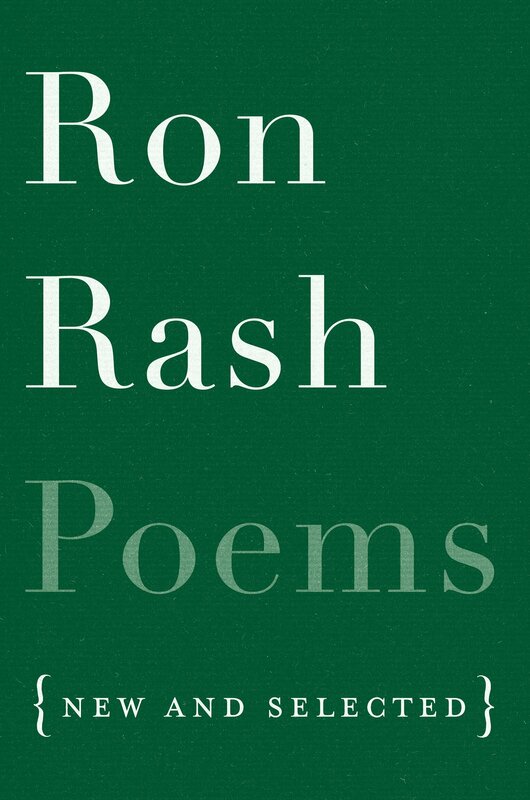 Rash’s poetry is grounded in language that is accessible to everyone. His poems often tell a simple story and celebrate a way of life, a culture that is passing away. This collection of some 130 poems includes both old and new work. Most are just a page in length, but they contain more worlds than their mere word count. You don’t have to like poetry to savor this collection and want to read more.